Our time in San Fernando, Chile exercised some muscles we hadn’t worked in a while – from marketing muscles to create brochures for a private vineyard, to our biceps when we were hauling logs for firewood. 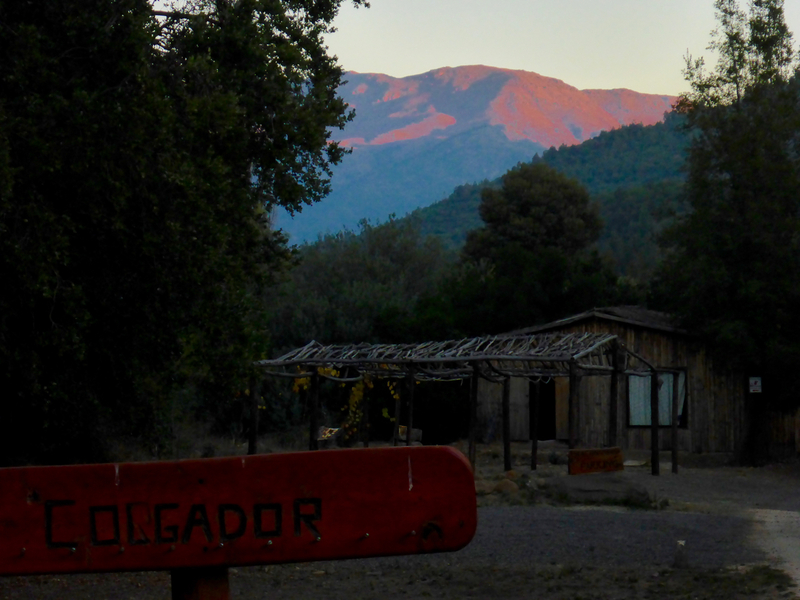 We spent the last three weeks working at Tumuñan Lodge in the mountains outside of San Fernando, Chile, as part of Workaway. 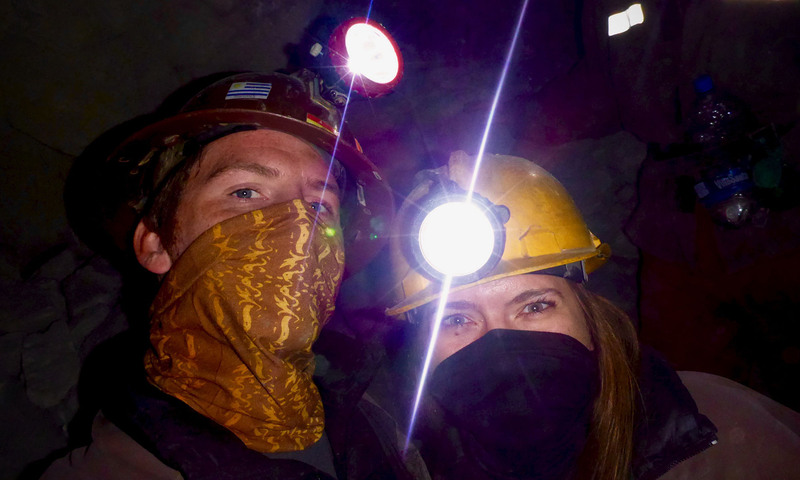 We volunteered for about 6 hours per day, in exchange for room and board in the worker cabin. 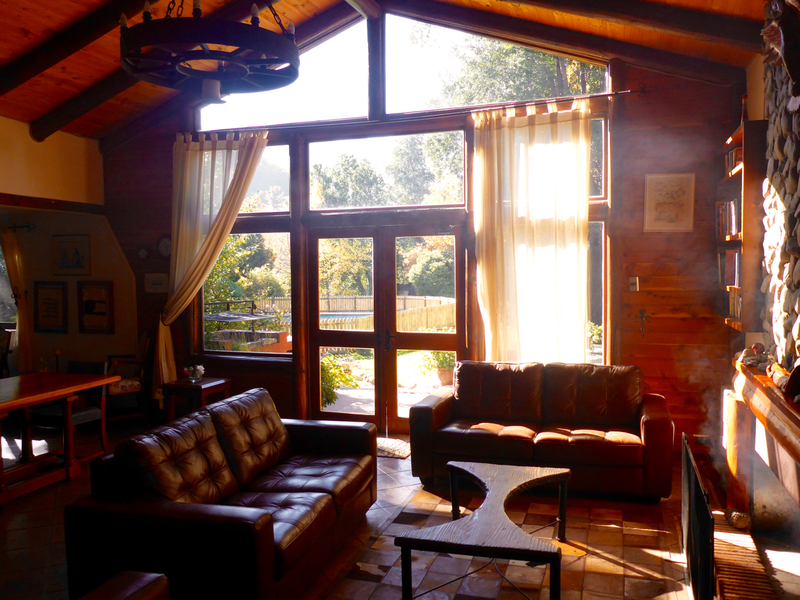 The lodge is off the beaten path, about an hour away from the heart of the Colchagua wine valley. It’s an intimate four bedroom lodge, with a vineyard on property. We split our time between outside work, like moving freshly cut trees to a central area to be chopped up for firewood, or planting grass and weeding, and helping with the guests in the lodge, and working on marketing and graphic design projects. 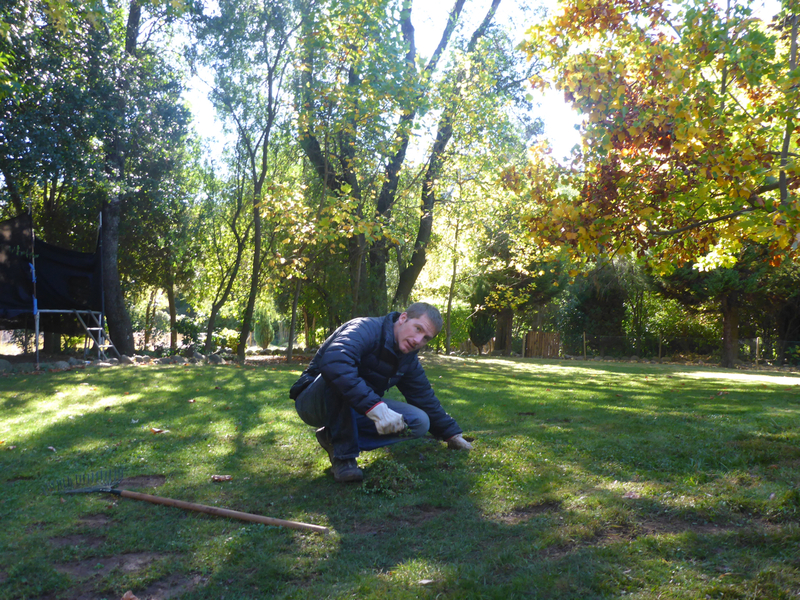 It was fun to dive into the manual labor, but hard work. We really enjoyed helping with the marketing and graphic design. 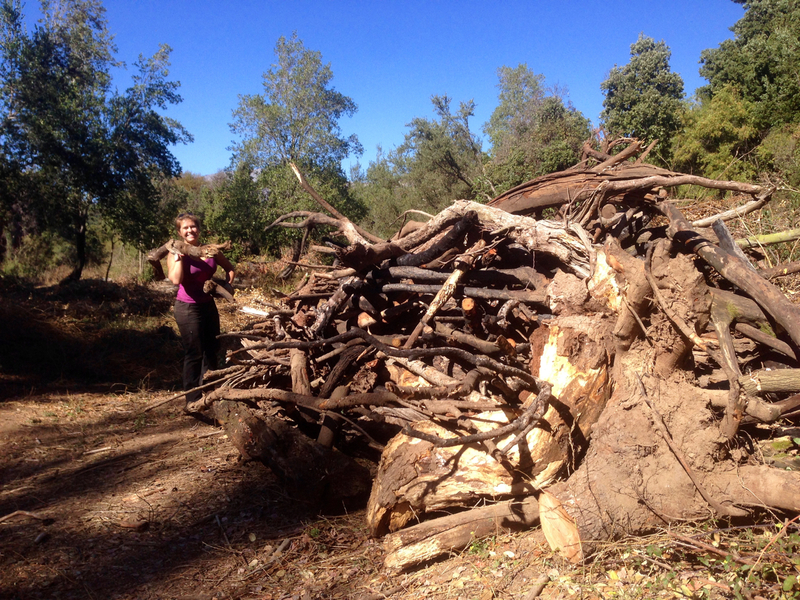 The owners of the property, Will and Carolina, have a lot going on, and we got to work on their new private vineyards project in addition to stuff for the lodge. I created the ideas, marketing, and copy while Rick designed this brochure for Tumuñan Wine Estates among other things. 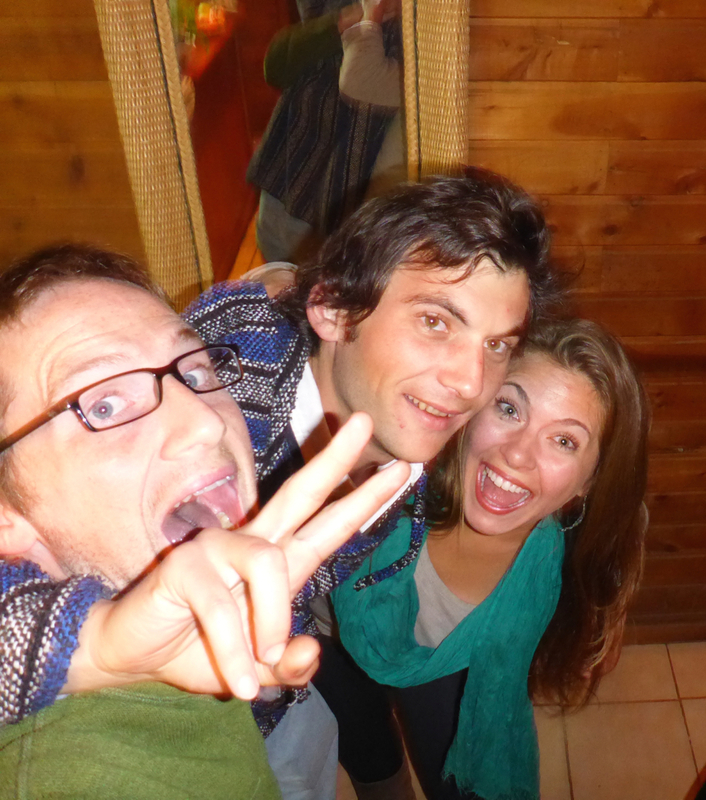 There was a total of four of us working at the lodge while we were there – a Chileano name Cristian who is finishing his degree in adventure tourism, and a girl from Argentina. 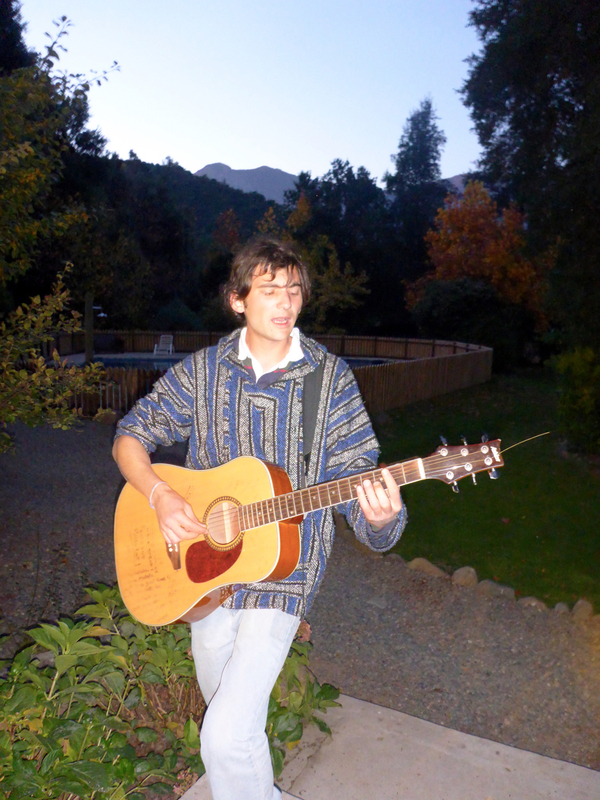 Hopefully Cristian will visit us on his way to Canada later this year, he’s a super renaissance man, it seemed like every day we’d learn a new talent of his – playing guitar and singing, to being a chef earlier in life, having traveled New Zealand. We’ll miss him. We all shared a cabin on the property (Rick and I got our own room! A big win these days! ).It was a really sweet little cabin. Rick made a fire every night to keep us warm. We got fresh produce and groceries and I got to do most of the cooking. In the evenings when we weren’t working, we would listen to Cristian play guitar, swap stories and play cards. The views around the property were spectacular. 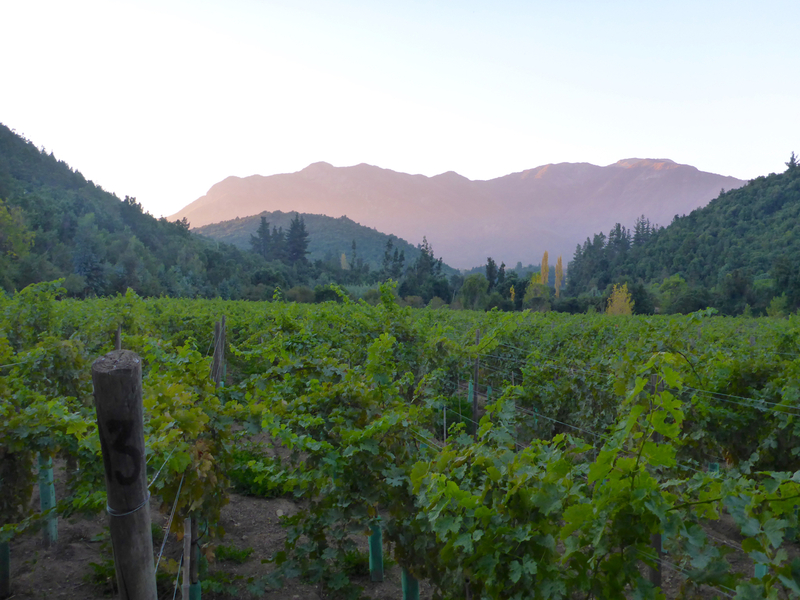 Almost every night we walked up to the vineyard or mirador to see sunset. They also had two horses, Luna and Satellite, which we got to take out riding a couple of times. There was a great trail to a waterfall and then up into the mountains. If we weren’t horseback riding on our days off, we would venture off to tour vineyards in the area. We really loved our time off the grid at Tumuñan Lodge. Thanks, Will and Carolina for having us! We can’t wait to try your private label wine in couple of years!